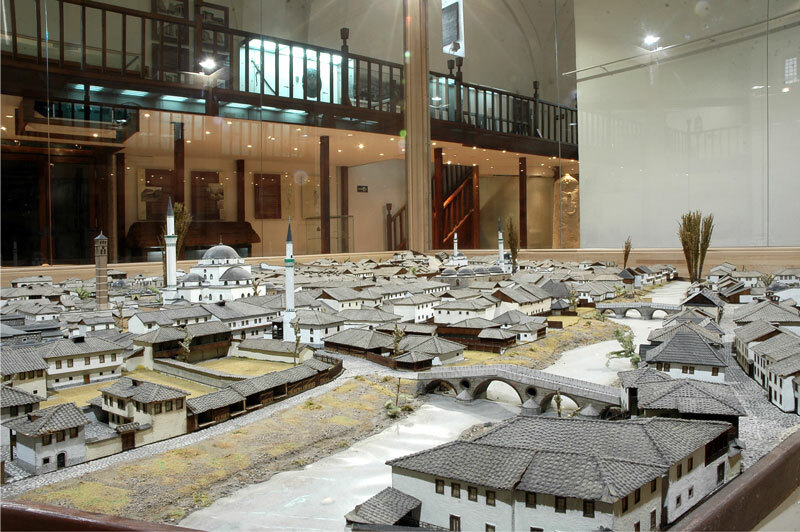 There are 20 important museums In Sarajevo whose exhibits tell about the interesting Sarajevo’s history and the rich culture of the people living here. The remains of the Neolithic Butmir civilization, the traces of Illyrians, Romans, Slavs are testimony of the long inhabitation of these areas. The earliest traces of life in Bosnia and Herzegovina can be found in Brusa Bezistan, and the National and Historical Museums. In the Brusa bezistan – a bazaar dating from the 16th century – accommodates the depadans of the Sarajevo Museum, where the permanent establishment is located – “From the Prehistory to the end of the Austro-Hungarian Era.” Among other things, this museum exhibits jewelry and remains of archaeological Neolithic deposits Butmir and Debelo brdo. A part of the exhibits from these sites are stored in the National Museum..
Bosnian stećaks are a decoration in front of the entrance to the most important museum in BiH – the National Museum. It also exhibits personal belongings of the Royal Kotromanić Dynasty, the famous Sarajevo Hagadah, and about 4 million other exhibits bearing testimony to the rich cultural and natural heritage of BiH. Through its archives, documents, photographs and other objects, the Historical Museum of BiH deals with the entire history of Bosnia and Herzegovina, from the first mention of the name Bosnia (949 AD) until the modern age.